Recently, Baltimore, Maryland, became the largest city in the United States to ban restaurants from including sodas and other sugary drinks on their menus for children. Now, Baltimore's restaurants can only offer milk, water or 100 percent fruit juice as drinks with meals meant for children. At places to eat in the city, boys and girls can still drink soda. But an adult will have to order it for them. Restaurants failing to obey the new law face a $100 fine. Doctor Leana Wen is Baltimore's Health Commissioner. She said that the "law will help families make the healthy choice the easy choice." "The science is clear," Wen said. 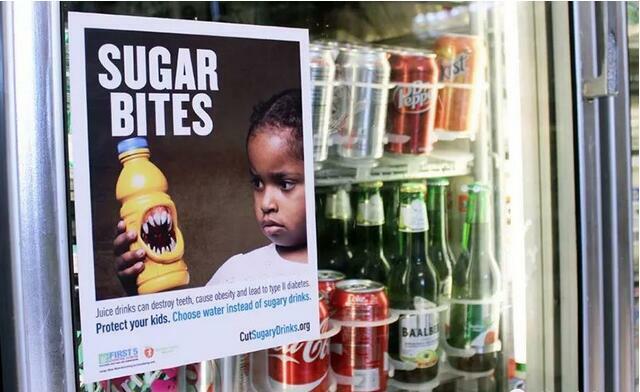 "One of the biggest contributors to childhood obesity is sugary drinks." She added that "childhood obesity is a major risk factor for diabetes, heart disease and early death." The U.S. Centers for Disease Control and Prevention reports that, in Baltimore, one in three school-aged children is obese. CDC officials define obesity as weight that is higher than what is considered as a healthy weight for a given height. A federal study of Baltimore showed that about one in four schoolchildren drink soda every day. The America Heart Association suggests that children two years of age and older drink no more than one 227-gram soda per week. The CDC website states that nationwide "the percentage of children and adolescents affected by obesity has more than tripled since the 1970s. Records from 2015 and 2016 show that nearly 1 in 5 school-age children and young people (6 to 19 years) suffer from obesity. The Restaurant Association of Maryland opposes the new law. It says Baltimore's restaurants are already facing enough business challenges. It warns the law will make those challenges even worse. Other smaller U.S. cities – seven in California and one in Colorado -- have already banned sodas from children's restaurant menus. However, Baltimore is the first large city to take this step. Whether or not such bans are approved in other cities, both large and small, remains to be seen. Milk's proteins (whey and casein) can make you feel more satisfied than sugary drinks. Now I drink a lot of water and some fruit juice. Childhood obesity is associated with a higher chance of obesity, premature death and disability in adulthood. Diabetes is one of important risk factor for coronary heart disease. 5.Whether or not such bans are approved in other cities, both large and small, remains to be seen. It remains to be seen whether her parliamentary colleagues will agree. It still remains to be seen whether Buchanan will be just a gadfly or a real threat to the president. 6.Records from 2015 and 2016 show that nearly 1 in 5 school-age children and young people (6 to 19 years) suffer from obesity. Many kids suffer from acne and angst. I still suffer from catarrh and sinus problems.